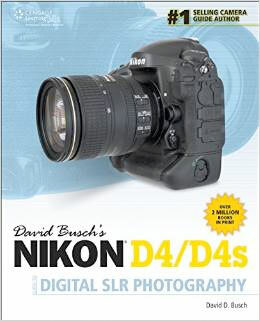 David Busch's Nikon D4/D4s Guide to Digital SLR Photography is the long-awaited guide to using Nikon's flagship cameras. 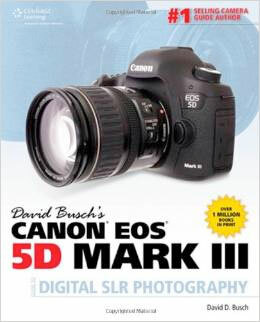 This book is your best bet for getting great results with your D4 or D4s. Both include a high-performance 16.2 megapixel sensor, advanced HDTV video features, ISO up to 408,800 (with the D4s), and a sophisticated exposure sensor with 91,000-pixel resolution. If you're hoping to use your new Nikon D4/D4s to explore the world of digital photography, to flex your creativity, or to do your job better, this is the book for you. With clear how-to steps and full-color illustrations, David Busch's Nikon D4/D4s Guide to Digital SLR Photography covers all the features of these capable cameras in depth, from taking your first photos through advanced details of setup, exposure, lenses, lighting, and more, and relates each feature to specific photographic techniques and situations. With David Busch as your guide, you'll be in full creative control, whether you're shooting on the job, as an advanced hobbyist, or are just out for fun. Start building your knowledge, creativity, and confidence with the Nikon D4/D4s today.